H1B Visa 2015 Approved - When to get Visa Stamping ? When Enter USA ? Home » H1B Visa & Consulting » H1B Visa News » H1B Visa 2015 Approved – When to get Visa Stamping ? When Enter USA ? H1B Visa 2015 Approved – When to get Visa Stamping ? When Enter USA ? Can I travel to US with the H1B Approval Notice ? Can I get appointments for H1B Visa stamping ? I am in USA, do I need to get H1B Stamping to work in USA ? When should I get H1B Visa stamping ? When can I enter USA on H1B visa after Visa Stamping ? What are the precise restrictions from US Dept of State for entering USA ? This article focuses on some of these common questions. Can I travel to US with the H1B 2015 Approval Notice ? No, you cannot travel to USA with just the approval notice. You need a valid H1B visa in your passport to enter USA. You need to visit a US Consulate and get a valid H1B Visa stamped in your passport to enter USA. Check USA Visa vs Status. I am in USA, do I still need to travel out and get H1B Visa stamping ? If you are already in US and your H1B petition was applied with Change of Status ( COS), then you do not require visa stamping as you are already living there. Your I-797 approval notice would have a new I-94 attached to it with the new expiry date. You are allowed to stay in America until the valid date on the attached I-94. Your status is automatically converted to H1B Visa status starting from October 1st. If you plan to travel out and re-enter USA, then you will need a valid H1B Visa stamp in your passport, until then, there is no need. When can I get H1B Visa Stamped, if I have an approved H1B 2015 petition ? If you were part of the H1B 2015 quota, your H1B Approval notice, which is I-797 form, would indicate a start date of October 1st, 2014. As per US Consular Guidance FAQs, you can apply for the visa stamping 90 days before the start date listed on your approval notice. What it means is that, if you back track 90 days from October 1st, it would be July 3rd, 2014. You can only apply for US visa stamping on or after July 3rd, 2014. It is always good to start and plan early so that you do not end up into last minute complications. Talk to your employer and get all the required documents and book an appointment for July 3rd or later, if you intend to start working from October 1st. How soon can I enter USA after H1B Visa stamping ? When ? Having a valid H1B visa does not permit to travel to America anytime. You need to wait ! You can only enter USA 10 days before your start date listed on your H1B Approval notice, which is I-797 form. So, you can enter USA on or after September 21st, 2014. What should you plan to enter USA ? If you are traveling to America for the first time, it is quite a bit of change for you. Plan everything ahead of time. There are quite a few things that you can do in your home country to make your life easier. 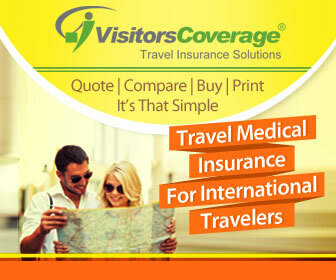 It can range from health checkups, list of things to carry, booking ticket, etc. Read this article Things to do in Home Country before leaving to USA on H1B Visa. Did I miss anything ? Any other questions ? My H1B non premium visa is approved for 2016-17. Now i want to change my employer but my current employer will not share receipt number until stamping is initiated. If i change employer, will my H1B be wasted ? How may i transfer my H1B ? My H1 application is picked in 2015 but i was not sent for stamping until october-2016. Is there any time limit for my employer to get my visa stamping done? You can go for stamping anytime during the petition validity period. Whenever you appear for stamping, carry more recent up-to-date documents. How much time will the petition be valid. I dont even have the petition number to check the status. It is usually valid for 1-3 years. You need to see the petition copy to know the expiration date. How many weeks of I 94 should be valid for appearing Visa Stamping interview in general? In my case I 94 expiring on Feb 8 2017 and visa stamping is on Nov 10 2016. My Perm is approved. H1b extension is in progress. When you go for stamping, you have to leave US and at that point I-94 closes/expires. So it doesn’t matter what your I-94 expiration date is when appearing for visa stamping. However, your 797 should still be valid when appearing for stamping. There is no cut-off, but have it valid for at least few months as that you would give you enough time to enter US and file for extension. My employer has confirmed that my visa/work permit application has been approved but not provided any document. At the same time i have job from other company. At this stage is it possible to transfer visa to other employer ? What will right decision ? Do you know the receipt number at least? What shuold I do next. Find an employer willing to transfer the petition. They can do this using the receipt number and print out of online status showing it as approved. Then go for stamping and travel to US to work for that employer. Note that some employers may ask for approval notice before proceeding with this. I have receipt number of approved H-1B and have never been to US. My current employer is saying that they will cancel my visa if i resign. Also new employer will file transfer after 6 months only. Will my H1-B be wasted if i join new employer ? My visa is ending on 30 sep 2017. So till which date new employer can file transfer ? 1. I believe an amendment needs to be filed on Oct 1, 2016. My employer has not started the process yet, so I won’t have an amendment filed on Oct 1. What are the consequences and options to make it right? 2. Do I have the H1B visa automatically starting October 1, 2016 if I am in the US and the petition was filed as a Change of Status? Or does the change of status only serve to continue working in the US temporarily until I get my visa stamped and effectively get the visa? 3. Should I travel for visa stamping only after the visa amendment is approved or can I travel even before or during the amendment processing? 1. Amendment is applied only on approved petitions. If the petition is already approved, then employer needs to file the amendment (and corresponding LCA) ASAP. 2. Your approval notice will show whether COS was approved or not. If approved, there would be an I-94 attached to the bottom. Only then you can work on H-1; or you would have to enter US on stamped H-1 visa. 3. I would suggest to go for stamping after H-1 amendment has been approved. I’m not planning to move into the USA. I’ll work from home in Canada, being paid by an American company. I’ll travel to visit the home office for a couple of weeks every couple of months. Do I still need to get an H1B visa? If you are traveling to home office for meetings etc then B-1/2 would be the appropriate visa. However, you cannot do any productive work on this visa. Your immigration team can guide better looking at what your job would be during those 2 weeks. Can i apply for h1b visa before Sep 1st week. You would appear for dropbox in this case, correct? You can go there and carry both petitions and they should issue the visa stamp as per the extended petition. I have a valid H1b visa till 16 october 2016. I am renewing it using Premium and would get it extended. Meanwhile if I travel to India and plan to return by oct 8th, will I be stopped at the port of entry? As long as you have a valid petition and valid visa stamp, you should be fine. I assume you will get the extension filed and hopefully approved before you leave US.